The famous blood test sequence from John Carpenter's The Thing remake is a scene that's both tripwire tense and almost unbearably intense. 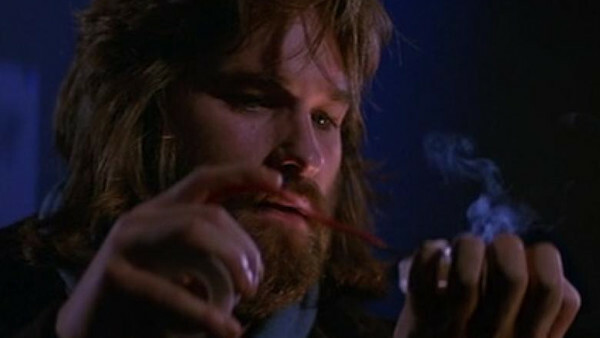 MacReady (Kurt Russell) devises a test to figure out which of the surviving men is playing host to the alien entity, by touching samples of their blood with a heated copper wire. Eventually, Palmer's (David Clennon) blood leaps away from the wire, at which point Palmer begins to grotesquely mutate as the creature attempts to find a new host. It promptly grabs Windows (Thomas Waites) and infects him, before MacReady burns them both to death. The tension of not knowing who is infected and the sublime gore effects - which still look fantastic today - combine to make this a high benchmark for body horror that still hasn't been matched.